My grandmother’s 89th birthday was this past week, and naturally we sent her a box of Baking for Good cookies. These days it’s very rare that I have an opportunity to receive a Baking for Good delivery in the mail. 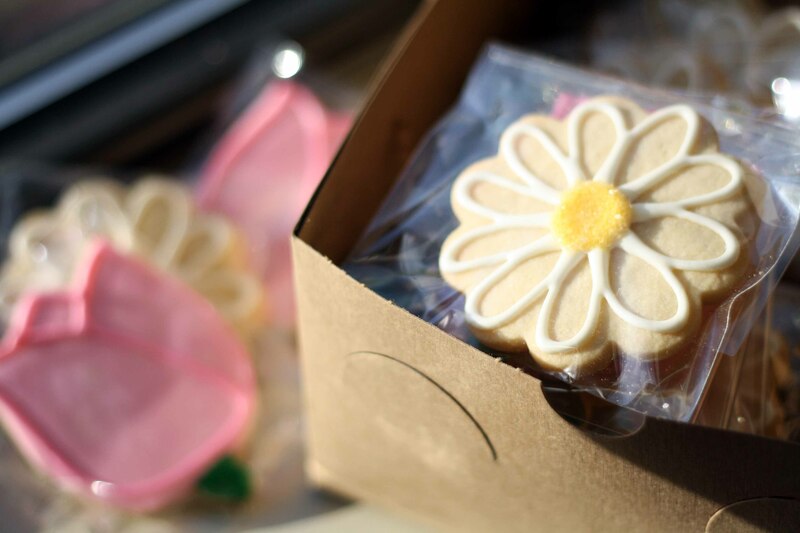 When our bakery was in California and I was in New York, I received cookie deliveries almost every week, whether because we were testing new recipes or preparing samples for meetings or events. Now I send out a lot of cookie gifts myself, but I hardly ever get to be there when they’re opened. This entry was posted in Baking for Good, cookie gifts, online bakery and tagged birthday cookies, cookie delivery, cookie gift, flower bouquet cookies. Bookmark the permalink.